Due to overwhelming response, we have reached maximum capacity and we are no longer able to accept registrations for this year’s spring breakfast. Click here to join our waitlist and if anything changes, we will let you know. Contributions are tax deductible as permitted by law. A Cure In Our Lifetime is a registered 501c3. 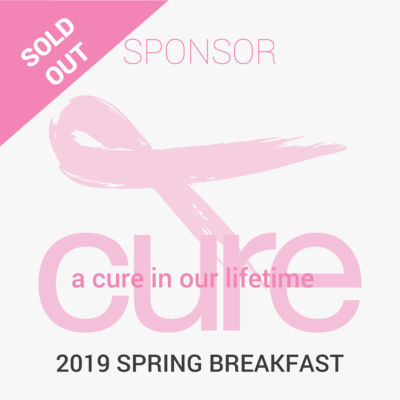 Our mission is to fund innovative breast cancer research, provide resources for those who have breast cancer, and promote breast health through education and outreach. We are affiliated with Chappaqua’s A Cure In Our Lifetime. 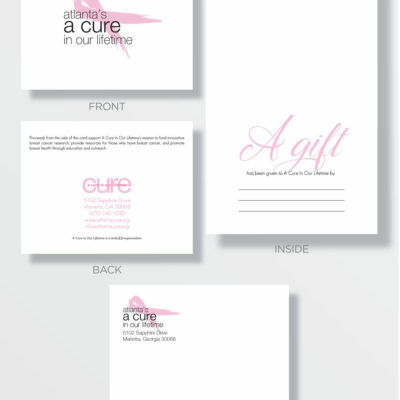 Since 1998, A Cure In Our Lifetime has raised nearly $3,000,000 in the fight against breast cancer. Amy Robach, 20/20 Co-Anchor and ABC News correspondent, has traveled nationally and internationally to cover major news events. In 2015, Robach wrote a New York Times bestseller titled Better: How I Let Go of Control, Held On To Hope, and Found Joy in My Darkest Hour about her unexpected journey with breast cancer after being diagnosed following an on-air mammogram on GMA. Robach is originally from Lansing, Michigan. She grew up in St. Louis, Missouri and then moved down south to Atlanta, GA just before high school. Robach attended the University of Georgia where she graduated with honors and a degree in Broadcast Journalism. She currently resides in New York City.